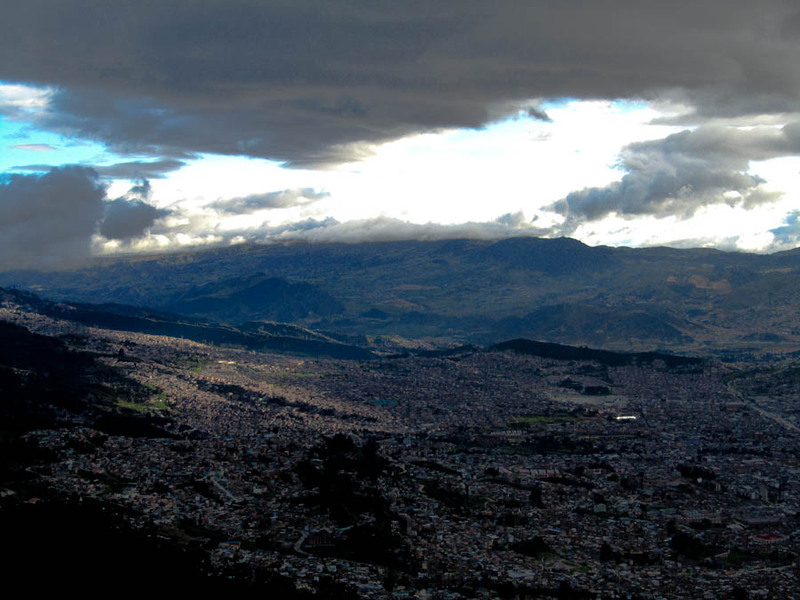 The view from Montserrat in Bogota, Colombia is an incredible thing to see. The view you are looking at is to the left of the main city center but one of the best shots that I could take. Since Bogota is higher in elevation it is usually cooler than the other cities in the country and it also happens to be the rainiest. You can see the blue skies on the upper left corner and some of the sun’s rays coming through and shining on the valley to the left of the picture. The bright rectangle on the right is actually a reflection of the sun. Click here for more pictures of Bogota and check out the top 5 section for more things to do in Bogota and around the world!